~~ The beginning of school held no sway over me for the first time in more than 30 years. There were no deals to close so families could get possession (and a copy of the Deed) in order to register the kids before classes commenced. Also, there were no shopping lists filled with tissues, paper towels, markers, stickers, specific-size paper and notebooks, along with multiple $40 checks for the PTA, the classroom fund, the first field trip, the pride-proclaiming sweatshirt, and other things I’ve totally blocked. 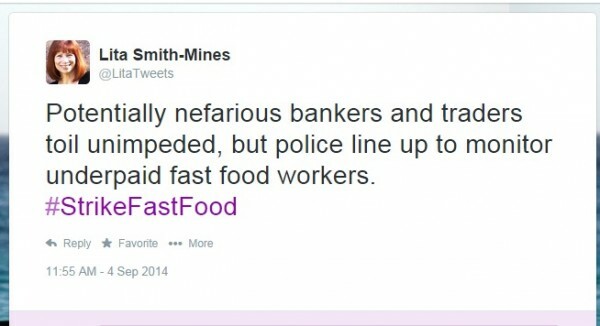 ~~ I don’t eat fast food, but if you do, wouldn’t you digest your meal better if the person serving up your special sauce could also afford to feed her family? ~~The opinion column began, “Who scares you more? Putin or ISIS?” Why choose, dude? This isn’t a contest for who’s most apt to trigger WWIII. ~~ John McCain wants the POTUS to “do more” in the Middle East, but his party is suing the man for doing too much. ~~ Governor Andrew Cuomo running for reelection. He and his running mate, Kathy Hochul, refuse to debate their Democratic primary opponents, Zephyr Teachout and Tim Wu. The Governor claims debates don’t further democracy, but I disagree. I cannot cast an informed vote to keep democracy going if I don’t have the ability to compare and contrast candidate’s positions. I’ve been angry that the Gov disbanded his ethics squad without adequate accountability or explanation, and now I’m furious that he believes he’s above the process. I support almost everything he stands for, but Cuomo’s conduct and perceived attitude have made my choice clear: I’m voting Teachout-Wu in the primary next week. ~~ Football is starting too early. 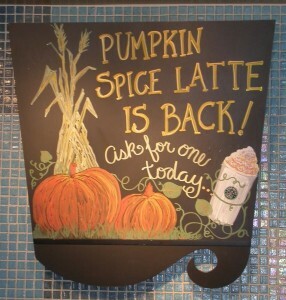 As are ads for pumpkin-spicy things, Halloween, and over-the-knee boots. I haven’t had a freakin’ summer yet, so why should I get excited about autumn? Yet time is marching on, or not on my side, or something along those lines. So, yay football! And yay, pumpkin crapiatos! 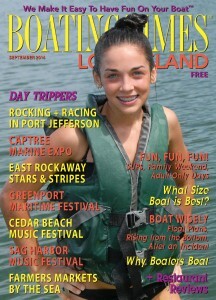 ~~ The September issue of Boating Times Long Island is online. You don’t need to be a boater to enjoy our articles: http://boatingtimesli.com/NY/.